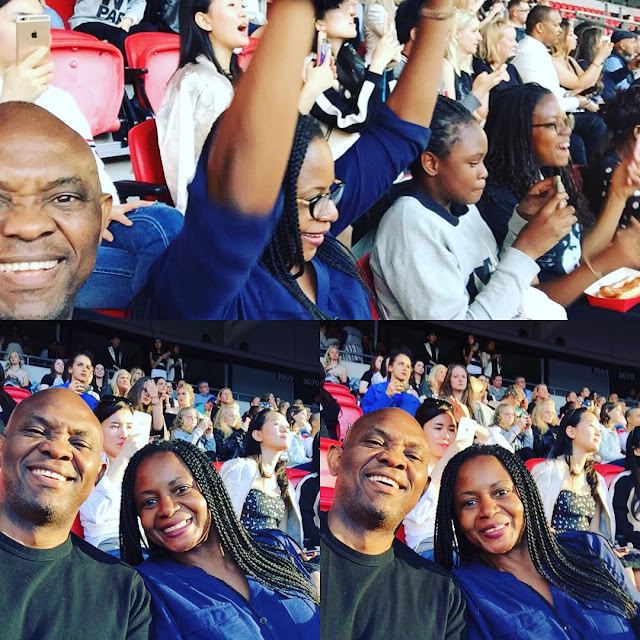 TONY ELUMELU & FAMILY AT THE BEYONCE’S FORMATION LONDON PERFORMANCE. Nigerian Billionaire entrepreneur and Chairman of United Bank For Africa (UBA) Tony Elumelu was yesterday spotted at the Wembley stadium London with his wife and two of his daughters to watch Beyonce perform at her Formation tour. See Lovely Pictures after the cut . . .